Wellingborough's Castle Fields Community Group is the first to benefit from a new community fund, set up by Stanton Cross house builder Bovis Homes to support the vital work of local residents and groups. The Stanton Cross Community Award has been created by Bovis Homes to provide much-needed funding for those community projects that are helping to transform the area. This first award of £1,000 will help the volunteers of Castle Fields Community Group to continue the rejuvenation of the popular Castle Fields Park in the east of the borough. John Lougher, Bovis Homes Regional Managing Director responsible for Stanton Cross, said: "Castle Fields Park has long been popular with local residents, many of whom have dedicated much of their free time into improving it and making it an attractive and safe place for visitors. "We are delighted to provide the Castle Fields Community Group with this first award, which we hope will go some way to helping its volunteers to continue their great work. "Building and supporting communities is at the very heart of what we do and we look forward to seeing the exciting improvements the Castle Field Community Group will be making." Marion Turner-Hawes, Chair, Castle Fields Community Group, said: "This is great news for residents, who like us, enjoy visiting the park and are keen to see it improved. "We have worked hard over the past few years to improve the park's facilities and environment, including clearing the brook and hosting a number of events for the community which have been really popular, but there is a lot more work to do. Without generous contributions such as this, it would be impossible for us to continue this work." The Castle Fields Community Group was set up in 2012 and was formed by a collection of volunteers passionate about their local park. 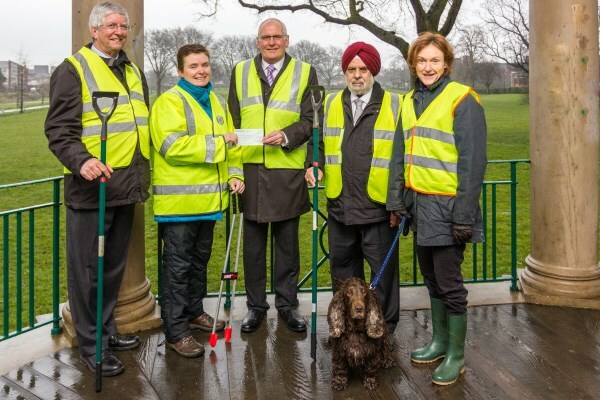 The contribution from the Stanton Cross Community Award will help the team to continue to make the park cleaner, safer and more attractive for visitors, including the further clearing of the brook, which was previously littered with rubbish. The park is located near the new Stanton Cross location, which is being designed and developed by Bovis Homes, and which will provide 3,650 homes and 110 acres of employment land, plus schools and community facilities for Wellingborough when complete. Local groups interested in finding out more about how to apply for the award can visit www.stantoncross.co.uk for more information.